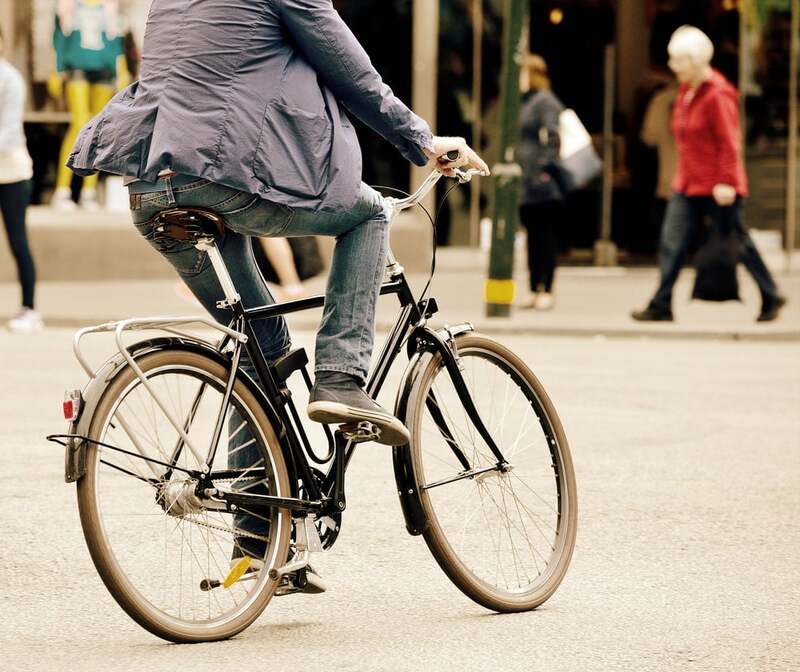 ​﻿Riding your bicycle to work improves your health, reduces congestion, and is good for the environment. The RTC is working on linking bicycle facilities to transit service and providing bike routes along transit corridors. The RTC’s transit system supports more than 50,000 bike trips every month. 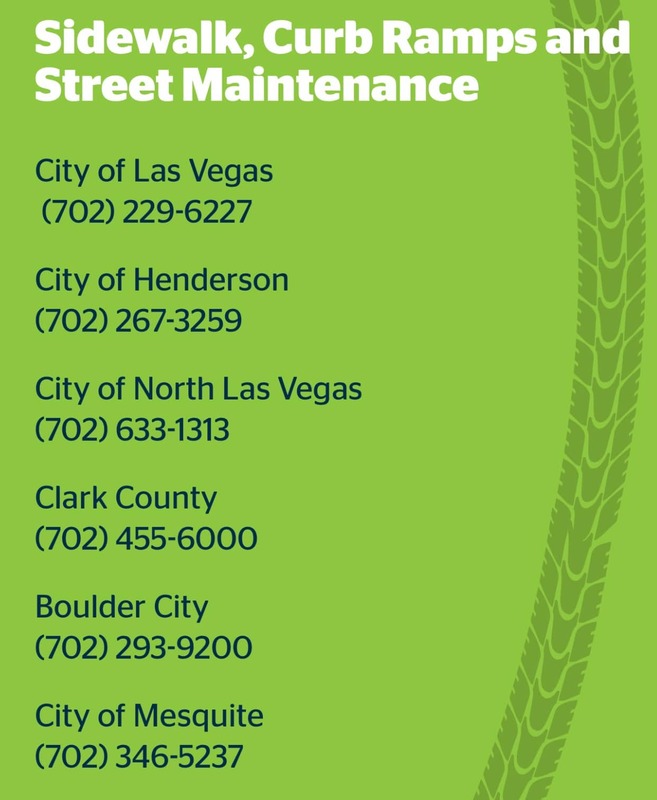 Neon to Nature is an online tool that will help you find walking and bicycle trails throughout Southern Nevada. We have over 1,000 miles of trails here in the valley. Each trail listing includes trail information and photos, along with detailed map descriptions of the trail’s location, length, and various amenities. The Neon to Nature app is also available for your Android device on Google Play and for your iPhone on the Apple App Store. Download the free app today for your mobile device to find trails near you! We all see road safety issues while on roads and trails throughout the valley. It's often difficult to know who to call to report a problem. Click the image above and print or save it so you'll always have the right info with you. ​Nevada is a wonderful place to bicycle. Whether your riding preference is on a roadway or down a dirt trail, Nevada’s wide open spaces and scenic beauty lends itself to top notch cycling. Nevada’s bicycling clubs and organizations, many of them with heritages back to the early days of the State, offer the opportunity for camaraderie, socializing and safety in numbers. What's the right bike for you? Here's some things to consider when you are ready to find some wheels. ​This PDF file describes the process required to obtain a BLM Special Recreation Permit. ​The bicycle is often thought of as one of the purest forms of transportation. We owe much of our modern transportation environment, including our roadways, to the early development and use of the bicycle. In modern times the bicycle offers people of all ages and abilities an efficient form of transportation, a way to school, work, or errands, and provides a viable alternative to the use of the motor vehicle. The Safe Routes to School (SRTS) program is an international program that encourages children to walk and bicycle to and from school safely. The SRTS program is built on five strategies, called the "5 E's" (Education, Encouragement, Enforcement, Engineering and Evaluation) to address challenges and barriers to walking and bicycling. Successful SRTS programs involve all 5 E’s and the community. Click here to view the Clark County School District's presentation on their Safe Routes to School program.